Being the capital of Australia is not Canberra’s only claim to fame. With a population in excess of 400k it is also renowned for paying the highest price for services in the country – great news for those providing the service. You might be forgiven for thinking that this would mean an oversupply of providers…in fact, the opposite is true as competition, at least for our services is very low. How do we know this? We have been operating in and around Canberra with 2 vans for the last 4 years and have established the Car Care brand through the high quality of service our current franchise owners have provided. The good news is we have a couple of spots still left – see Available New Areas below – covering Queanbeyan/Tuggeranong and Weston/Woden. 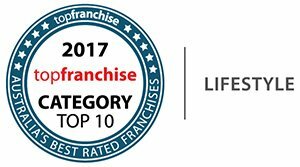 After a very successful career in hospitality as an owner operator where he won numerous awards Craig entered the franchise industry as a franchisee in 2001 and has owned and operated numerous franchise businesses at a franchisee and Regional Master Franchisee level. On successfully selling his last franchise business Craig developed the franchise model for a national commercial cleaning company and was responsible for the development and growth of the company from 2006 before joining Car Care in 2009. Craig provides the NSW/ACT franchisees with a wealth of knowledge in customer service and general business hands on experience to enable them to maximise the growth in their businesses.